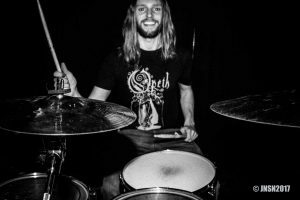 06-02-2019 – Hillsphere welcomes their new drummer! Some very exciting news came in from the Hillsphere camp today! After a few months of rehearsing, the band is very happy to announce their new drummer Koen Steendijk! After the former drummer Wouter (Macare) introduced him to the band, it became clear very quickly that he was not only very talented, but there was also a great connection both musically and personally. We’re thrilled to welcome him into our LRP family and are looking forward to seeing him live with Hillsphere very soon. Keep an eye on their Facebook page and these pages for more updates!